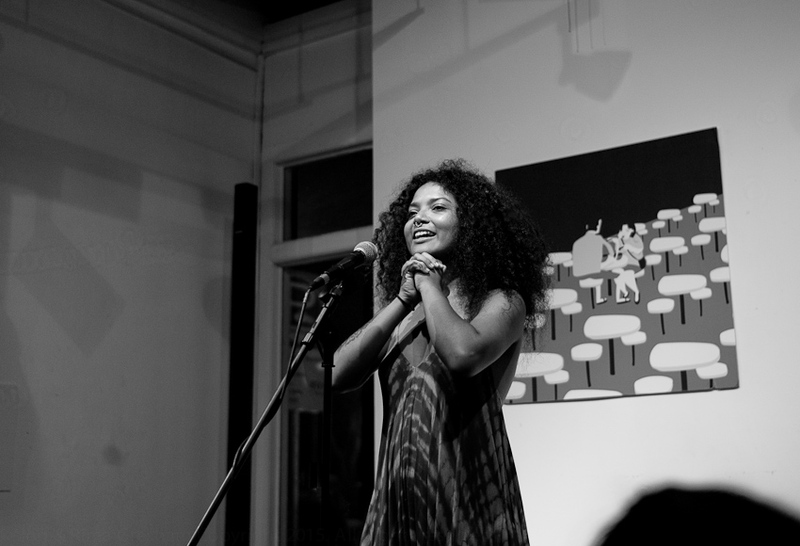 On 29 April 2015 at Artistry, Speakeasy #19 hosted Singaporean writer, musician and actor, Deborah Emmanuel. Fresh from Bali - it was almost as though she’d just caught a taxi from the airport after a budget flight from Denpasar, Deborah read poems from her iPhone and new collection, When I Giggle In My Sleep (Red Wheelbarrow Books). When she read Hey, Mr Pickpocket Man it reminded me how I have never understood the attraction of ’Schoolies week’. The herd mentality, the myth of slobber and intoxication as grand ‘coming of age’ ritual. Could these really be the best days of our lives? Now we are grown up, and get drunk, and steal, and shag, and throw our bodies all over the place, until we are spent, and fall asleep on the sand with each other’s vomit as a pillow. Frankly, I’d rather have been sitting on a rock on a hillside, reading Flannery O’Connor and listening to The Waterboys while sneaking a tipple from a stolen Single Malt. That was a long time ago. Anyway, I enjoyed the energy and wit of her poetry, especially the beauty and thoughtfulness of her sadder work.